If you are considering driving to Manchester airport and leaving your car there, then you will want find the best options for parking your car. 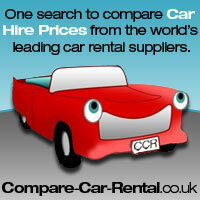 Price should obviously be a factor but so should the security of your car too. There are various options available to you, whether you choose on-airport options, meet and greet or the cheaper alternayive with off-airport parking. If you pre book, you could save up to 60% off the turn up rates, we give you the options below. This is ideal for those looking for short term parking of just a few hours. Located next to the terminal you can simply walk to the terminal building from this multi story car park. 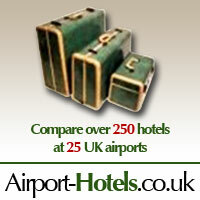 It is the closest car park to the airport so ideal for those with heavy or bulky luggage. The short stay car park also is suitable for those requiring disabled access. Should passengers require a wheelchair, these are available on request from the airline you are flying with. Long stay parking, is still located within the airport boundaries and is more suited for those requiring parking for a day or more. The car park is 5 minutes from the terminal which you can get to on their courtesy bus transfers. There is generally space available should you just turn up, but pre book and you could save up to 60%. Manchester has numerous off-airport car parks. JetParks are operated by the airport and are the closest to the airport terminal but with so many options prices are very competitive. These are generally cheaper than the official on-airport car parks, but still offer the same security as those within the airport boundaries. There are 17 Meet and Greet options between all three terminals at Manchester airport. This really is the most convenient and hassle free way to park. Simply drive to the airport where you will be met and your car taken to a secure car park while you are away, then dropped off to you on your return. Prices are a little more expensive, but surprisingly not by much. This is also excellent for those with heavy luggage, large family in tow or those with disabilities. There is even a Meet and Greet Plus,which includes fast-track through security.